I arrive at the hospital around 9am, head up to the right floor, showing my volunteer ID badge to the security guard as I head toward the elevators. I round the corner and enter the floor, delicately labeled Women’s Choices where the procedures will take place. I walk into the makeshift office/empty procedure room where the Residents/Doctors who will be performing the procedures sit debriefing the morning’s cases. I’m greeted by the Doula Project coordinator/Counselor at the hospital, and she debriefs with me about the folks on tap for the morning. While everyone is in for a first trimester abortion, the stories are different. Some are elective procedures, some are wanted pregnancies with medical issues–ectopic, fetal demise, etc. I walk into the waiting room where the women are already wearing hospital gowns and socks, sitting nervously, quietly, waiting their turn. They are asked to arrive really early–7am–with the hope that it means most will be there by 9. I offer blankets, sometimes speaking in English and Spanish, sometimes using hand motions to communicate with patients who speak another language. Everyone has been fasting since the night before, adding to the discomfort, tinging the air with acridity from hungry breaths. I sit, introduce myself to the patients, make polite conversation. Everyone responds differently, some want to talk, some want to sit quietly. Mostly I listen, try to remain attuned to the signals they send about whether they want company or silence. Within a bit the first woman is called in. I go with her into the procedure room, helping her settle onto the table alongside the nurse. I stand by her head, holding her hand, patting her shoulder. No one is very talkative at this point–maybe a little apprehensive, and within a few minutes, groggy from the medications given via IV. The residents and doctors are friendly, mostly caring, mostly female. The procedure itself takes under ten minutes, including set up and clean up. Mostly I’m a hand-holder, a breathing coach, a smiling face. Occasionally I translate directions from the English-speaking nurse to the Spanish-speaking patients. With women who don’t speak either, smiles, shoulder caresses and thumbs-up serve as communication tools. Some brief suction, a quick examination of the contents by the doctors and the procedure is over. She’s carefully eased off the table and into a wheelchair and I walk down the hall with her to the recovery room. This is where the real work, at least for me, usually begins. Tears might have begun during the procedure, and as she recovers from the anesthesia in recovery, they might continue. My biggest role so far as an abortion doula, in addition to hand holding and reassurance, has been listening. Sitting next to her in the recovery room and being an ear if she needs it. At least two of the women I’ve worked with so far have confided in me during that time–told me their story, why they were there, how they felt about it. Sometimes the emotions are about the procedure, but sometimes not. I haven’t done much. Sat, quietly, listening. Providing reassurance, asking questions where appropriate. Saying all the things that every person deserves to hear: you are brave, you are strong, you are worthy. By 1pm, the last person has gotten back into their street clothes, doctors orders in hand, and headed back to their friend/partner/family member waiting downstairs. A hug and a smile from me as a goodbye. Sometimes a thank you, sometimes words like “eres un ángel” (you’re an angel). My involvement in abortion doula work started as an idea–a concept that I first heard from doulas and doctors in Boston in 2007. I was attracted to it from the beginning. Not only did it bring together two of my big interests–pro-choice and birth activism–it just seemed to make sense. Of course the skills of a doula would be transferable to other moments like abortion. There are those who believe the two roles are contradictory. To those people I say: my goal during each is the same. I’m there to support the person giving birth/having an abortion/miscarriage. I’m not focused on the outcome, or the reason they are there. I’m focused on providing the best support possible. There is no contradiction there. Until recently, my role in the abortion doula movement (or, as it’s called by many, the full spectrum doula movement) has been architectural. I’ve promoted the work of abortion doulas on this blog, and I helped to found The Doula Project, a New York City based organization that provides doula care to folks across the spectrum of pregnancy. I left NYC before that project had found a clinic or hospital partner, so I myself never worked as an abortion doula. Until now. I moved back to NYC this fall, and was really excited to re-join the now booming Doula Project (2 sites, 40 plus doulas, amazing). I’ve loved being part of this movement in the architectural capacity, but when I came back I didn’t want to be involved in the leadership of the organization, I simply wanted to be a doula again. It’s been a long time, for many reasons. But I’m proud to say that I am back to being an active doula–this time around, a full spectrum one. I started my first shift with The Doula Project at their hospital-based site. We currently work in one hospital and one clinic. I think the main difference between being an abortion doula and a birth doula is time. When I did birth doula work, the folks I worked with were in labor anywhere from 2 hours to 25. It was tough, being on for that length of time, not knowing when things would progress. Being a constant support person in a unscripted process. The abortion process, on the other hand, is very predictable. Procedures are very similar, usually quick, a patient not staying in the clinic of hospital more than a few hours max. My abortion doula work so far has been with women having first trimester procedures, which are the quickest and easiest of the procedures one can have. That’s one of the things I like about abortion doula work–I can make time for it in my schedule, in my life, without having to be ready to drop everything for 24 hours for a long birth. It’s selfish, I know, but it’s been part of what’s allowed me to get back into it. Because of the timing, I can work with multiple folks in one shift. While it’s a very different relationship you build with someone in a smaller amount of time, it feels good to be able to work with a number of people. Because the hospital I’m volunteering at only has between 2 and 6 patients in a given morning, I can often sit with the women in recovery for thirty minutes, even an hour. So far, that’s been the time that has made the most difference. During the procedure, I’m sure my hand-holding and reassurances mean something, but afterwards is when the anesthesia starts to wear off and the emotions can come up. Doing this work so glaringly reveals the deficiencies of our health care system. How little support doctors and nurses are able to provide, either because they are too busy, because they don’t speak the right language, because they are attending to process and procedure. Because they can’t bill an insurance company for simply listening. It also shows the deficiencies and injustices in our society. How many people feel mistreated in their lives, feel unsupported, feel unheard. Working in this setting also shows how lucky we are. These folks have access to safe and legal abortion procedures from caring doctors. Because it’s a public hospital, they only have to pay what they are able, regardless of insurance. I’m happy to be back in it, happy to be able to support folks in this important new way of expanding the doula model of care. I feel so heartened by your story! Thank you for being available to women during such a difficult time. I too think they are brave. I’d love to know how it is one convinces a (profit-based and -driven) hospital to hire a doula, or an abortion doula. Would you mind sharing (perhaps someday?) your tricks and wisdom? Thank you! So this particular hospital is run by the state, and so it’s a non-profit. But that aside, all the doulas volunteer their time, so there is no hiring involved. The convincing comes in finding providers who think doulas are useful and that we improve the quality of care. There are a few hospitals I’ve heard of who pay doulas to provide (birth) doula care. There is research that doulas can lower costs by lowering intervention rates, so there’s that! All of the abortion doulas I know of provide their services for free as volunteers. Thank you for writing this — the work you do is so very important. I wanted to send you a brief email to thank you for writing your blog entry about your role as a support provider with women having abortions. I have been asked what my personal feelings are about this role by women as well as, how does toLabor view it, do we allow it? I believe in support of humans in all situations and all conditions. As birth doulas we must learn to suspend judgement when we are with women through their experience’s. We are allowed to have our boundaries, therefore this role would not be for all but I am grateful for those who can find their way to this and other places of helping to create a safe space in other’s lives. As far as toLabor’s position on this; we try not to tell women how to practice. we believe in informed consent and trust that each doula will make the best decision for herself and for the bigger community of birth workers. It is an individualized decision. Please let me know if I can do anything now or in the future to help you. Thank you so much for your comment. 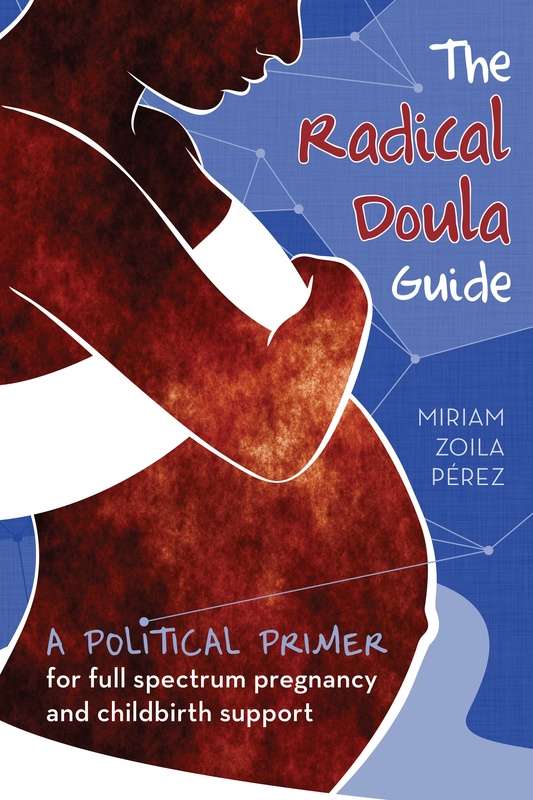 It’s great to know toLabor’s stance on full-spectrum doula work. Few of the doula training organizations that I know of address this work. Really eye-opening post. Your work is really significant for patients, it must mean so much to these women that you are helping them in their time of need. Thank you for volunteering your time. You are doing important and valuable work. Thank you! Our local Planned Parenthood clinic has had volunteer hand-holders in the abortion clinic for as long as I’ve been involved – early 90s – and probably earlier. I’m sending the head of the clinic a link to your post. Thank you! The Doula Project (who I do this work through) also does similar work at a Planned Parenthood in NYC. It’s been great to partner with different clinics and settings. Thank you so much for sharing this, and for the work you do. I have considered doula certification for a long time, and this post has really opened my eyes to, “Yes. This is what I need to do.” Your work is important and necessary. Blessings to you. The work you do and the time you offer is truly important. Thank you for sharing your story. It is simple and complex all at once… not to mention inspiring. Wow, what a beautiful post. Your work is so important, so valuable, so human. I couldn’t help but wonder though, how does word get out about your work? For instance, a non-English speaking woman in New York who would likely not stumble upon your blog, how would she find out about this invaluable service that you offer. Through the Doula Project or through the hospital? Also, do you collaborate with Planned Parenthood by any chance? Sorry so many questions, I just find this all very fascinating. Bravo and thank you. Thank you! Yes this work is different than traditional doula work in that we (The Doula Project) partner with clinics or hospitals and are there to support everyone who comes through, almost as if we were hospital/clinic volunteers. (Some doula programs are structured this way as well, but most are individual client/doula relationships). I agree with you it would be hard to get the word out, and also I’m not sure many women would think they needed a doula. We’re there to hold everyone’s hand, sit with them in recovery, etc. The Doula Project does work with a Planned Parenthood clinic and there are other similar projects around the country that partner with all sorts of clinics to offer these services. I am currently in the process of becoming a doula. How did you become an abortion doula? What’s the difference? I am in state that only has ONE abortion clinic and would love to travel there and do doula work. I recently became a ‘handholder’ at Planned Parenthood. I didn’t realize there was an organization devoted to that position elsewhere. It’s been an incredibly powerful and amazing experience. I cannot imagine how difficult it must be for women to undergo the procedure without the TLC that a handholder/doula provides. I’m proud to be able to do it. Cheryl, is that a position that all planned parenthood clinics have? Greetings Miriam, Are you able to tell me anything about the percentages of the abortions you attend? or perhaps project wide? Do you continue to practice as a birth or postpartum doula as well? What kind of follow up services are offered to the women you’ve briefly been with in the hospitals? Is that your first and last contact with them? Currently all my doula work is done through groups like the doula project, and I’ve focused on abortion and miscarriage support. I haven’t been to a birth in many years, although the Doula Project does connect doulas with low-income folks who need one. Usually, yes, the time spent together in hospital/clinic is the only contact I have with folks. When we founded The Doula Project we thought follow-up would be more important than it’s turned out to be, few people would call us after the fact. But that’s just my experience–many other full spectrum doulas may do things differently.